The IEEE MCSoC-17 will be held at the Hana Square (Science & Engineering Complex), Korea University, Seoul. Route to Hana Square of Korea University. We recommend you to take the airport limousine to your hotel from the Incheon International Airport, and to take the subway Line 6 and get off the subway at Anam Station (Exit 4) from your hotel to University. It will take a few minutes to Hana Square from the subway station. 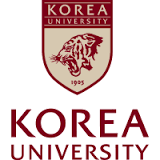 Please keep in mind that two subway stations are connected to the University: Korea University Station and Anam Station. The taxi service is very expensive and high traffic jam is in Seoul.